At key stage 4, there are 2 courses to choose from in the Business Studies department plus one course that will be no longer available once the current year 11 complete in 2019. In each of the courses students are encouraged to always be aware of business events that are happening in the local and national news, to help them put what they have been learning in the classroom into a real context. Looking at why people start a business and the skills required. How a business can deal with competition. How to maintain good quality in the business. Calculating revenue, costs, profit and break even. 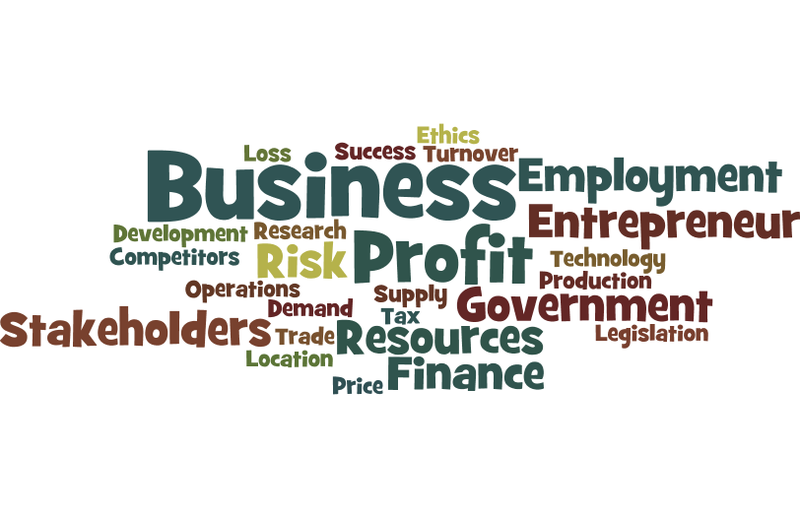 How to find out if a business is doing well financially or might run into trouble. There are two exams at the end of year 11. Each is 1 hour 45 minutes. For more information go to https://www.aqa.org.uk/subjects/business-subjects or speak to the teachers in the Business Studies department. Some students take the Cambridge National in Enterprise and Marketing. This course covers a lot of the same content as the GCSE but is assessed in a different way. This is an exam worth 50% of your overall grade. It will be taken in January of year 11. The different departments (functional areas) of a business and what they do. This unit is all coursework and is worth 25% of the overall grade. Students are given a business challenge and they must come up with a product idea. They must research it, design it and make sure it will make them money! This unit is coursework and is worth 25% of the overall grade. The students have to come up with a brand identity and advertising for their business idea. They must also produce a dragons den style pitch for their business idea and present it! The current year 11 (year 2018-2019) are the last group to study this course. Students will learn about a number of business topics including finance, marketing, types of business, national and local factors affecting business, applying for jobs, training and business organisations. The BTEC Award is assessed with a portfolio of written assignments throughout the two years along with a computer based finance exam.